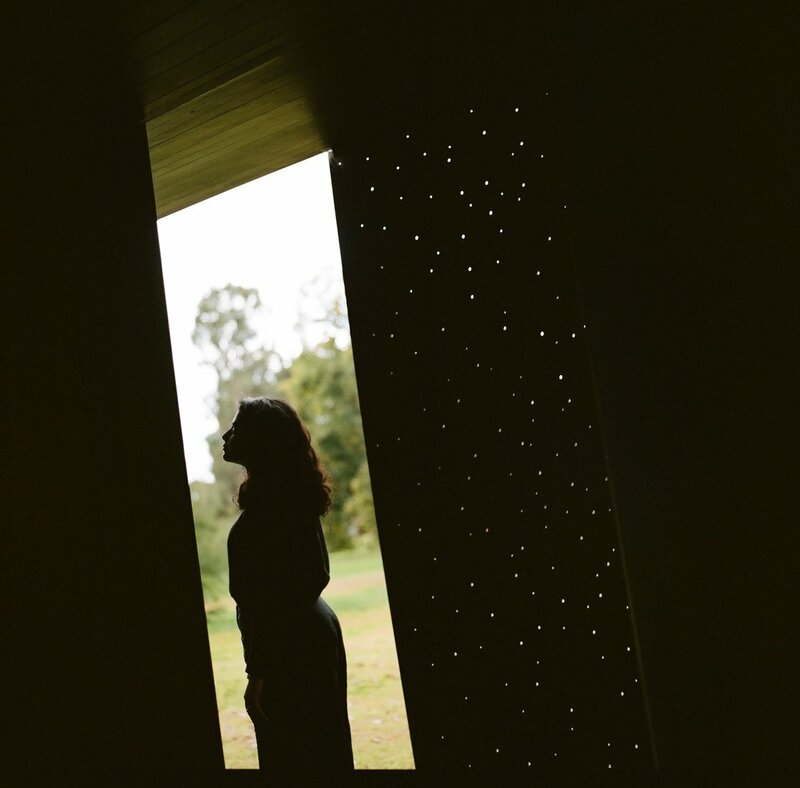 Haneen Martin is a Malaysian-Australian artist, maker and curator. She is the Visual Arts Editor for YEWTH Magazine, a postgraduate student in Art History, and founder of social enterprise Zombie Queen Art & Consulting, a business to help emerging artists. Haneen has exhibited in both Adelaide and Melbourne, and works alongside artists in Indonesia with the intention of demystifying the cultural gap with our closest neighbours. We talked to Haneen about supporting young artists, carving out time for creative practice, and living in Adelaide. How did you first start out in the arts, and what made you decide to embark on a creative career? I've always felt like the traditional path of going to university, going into a profession and getting a “good job” wasn’t right for me, but I never really knew why. Most people in my family—both immediate and extended—work in medicine, so I always felt that tertiary education was a must. I applied to Art school at the Adelaide Central School of Art and a Bachelor's in Architectural Design simultaneously; I intended to defer Architecture for a year and then maybe come back to art school later on. However—much to my parents’ pride and dismay—I excelled at art school and loved every second of it. When it came time to study Architecture I was distracted; my passion for the arts meant that it took me an extra two years to complete what should have been a three-year degree. Nonetheless, I found studying Architecture was a great foundation for my artistic practice. The biggest challenge for me was always trying to balance family expectations, my creative practice and my studies—I had no clear idea about what I wanted to do with myself. In 2013, at the start of my second year studying Architecture, I held my very first solo exhibition, This Isn’t What I Wanted. A lot of your work focuses on themes surrounding migration, identity, diaspora and displacement. How does your lived experience inform your work? So, I was born Puteri Haneen Al-Abdulwahed in Kuala Lumpur. I was brought to Riyadh, Saudi Arabia, where my biological father is from. I turned two in Canada, and, after my parents separated, my mum and I went back to living in our family home in Kuala Lumpur, where we stayed until I was eight. At that time, living in Kuala Lumpur, having a single mother and a biological father who wasn’t Malay was an unbelievable statement of fact. Thankfully, we had my beautiful grandparents, and a strong sense of matriarchal pride throughout my family. In late 2000, my mother and step-father were eager to get married. They decided to relocate us to Adelaide. When I came to Australia, I became Haneen Mahmood Martin. I went to primary school in the eastern suburbs of Adelaide before going to an equally white private high school. Less than a year into our life here, the September 11 attacks happened. While I didn’t understand at that time how they would affect me, I knew that things were changing; I learnt really quickly what I could reveal to certain people and how to be selective about my identity. Much of my formative years were a bit of a blur, but nothing terribly out of the ordinary—I spent as much time as possible in art rooms; I was boy-crazy; I was obsessed with trying to sneak out to gigs. Because I was bullied, I tried very, very, very hard to fit in. I don’t know when my Malaysian accent disappeared, but I remember my dad pointing out how strong my Australian accent had become around the age of nineteen. I find that art is the best outlet to assert myself. Ultimately, people can opt out—nobody is making them listen—but hopefully my work is loud enough that they don’t have a choice. Do you see your work as ‘political’? To me, the experience of ‘otherness’ and exotification is part of my daily experience, so it makes sense to make work from what I know. I think, if people consider my artwork political, they should probably check their privilege. That being said, I definitely use my social media platforms to highlight everyday racism and sexism. This could be seen as political; all I know is that this allows me to relate to others having similar experiences, and people often reach out to tell me how it’s affirming. So, tell us about Zombie Queen Art & Consulting. How did it come to be? Zombie Queen was borne from the frequency with which people would contact me and ask for advice about how they could get a foot in the door in the arts. People would pick my brain over coffee and ask me things such as where should I exhibit? How should I promote myself? Initially, it seemed a bit odd to me, as I’m still an emerging artist myself. I had no idea if I was even qualified to help others, but I quickly realised how many people just wanted someone to talk to about their creative pursuits. Zombie Queen is essentially a mother-figure for a lot of creatives in the infancy of their arts careers. Sometimes I do a bit of liaising between potential exhibition venues, but mostly it’s all about the one-on-one interaction and providing someone with the tools and skillset to get a head start. Trying to make money from charging artists is really difficult and not always sustainable; I'm hoping that I can continue to establish strong connections with supportive establishments like Nexus Arts and ACE Open in the future. These spaces have been a total godsend to me both as an artist and a curator. How did you begin curating exhibitions? It’s hard to explain – I curated my first show in 2013; there was an idea that I couldn’t get out of my head and I was keen to make it happen. I never thought about saving the idea for myself, as a solo show or a different body of work; I just set out immediately to find suitable artists. The exhibition was called ‘Diaspora’—it was an exploration of the concept of ‘multiculturalism’ in Australia; more specifically, how we claim to be a multicultural society. The best part about curating is thinking about what will get people out of their house and to a venue? What encourages them to bring their friends? What makes them stay? What makes them talk about it the next day? Art should be accessible and enjoyable, and I’m obsessed with trying to make that happen. I feel that my creative practice and curatorial work intersect constantly: there’s so much that I want to say and show the world that simply being an artist or a curator just isn’t satisfying enough for me. There really needs to be a more holistic view in how people approach the arts; we need to be critical and reflexive in order to engage a greater number of people across a range of different backgrounds. It’s my ultimate aim to make the visual arts world less intimidating and more inclusive. If I can create exhibitions or curate events which can achieve this, I am happy. How do you navigate the various mediums in your practice—from painting and sculpture to illustration and printmaking—to form a cogent representation of your art? Art school was the absolute best foundation for me to feel confident about jumping into whichever medium I feel represents me best at any given point. I tend to stick to the label of artist/maker because if I cannot make something with my own two hands and feel it develop over time, it may as well not exist. I strongly believe that each medium I use represents a different aspect of my personality and a new way of understanding the world. For example, when I was making my Unbuildables, I was being intentionally evasive through hours and hours of finely-produced, delicate sculpture. When I am illustrating however, I speak more to the emotional side of my personality. It wasn’t until my summer residency at Nexus Arts—which resulted in my fourth solo exhibition Patterns of Migration—that I realised I could cohesively combine object-making, fine arts skills, traditional Malay craft and the curation of ready-made objects to speak about deeply personal parts of my life. Tell us about your experience organizing Zine Swap! How did you start it, and how has it grown over the past three years? Zine Swap started as an offshoot to an exhibition curated by Lana Adams at The Mill, an art gallery and studio in Adelaide, where I had been a co-curator. Lana had produced this beautiful zine and we were looking for a way to launch it. I put a call-out for participants and went from there. For the first one, there were 19 participants. Every single Zine Swap to date has been held at a different venue, thanks to the incredible kindness of others and their support in my vision. Most recently, I held Zine Swap #6 with the assistance of contemporary art gallery ACE Open. This meant that I had the luxury of having sixty participants; DJs, musicians and a bar in Fowler’s Live (a live music venue in the same precinct); a zine-making workshop; a panel of women of colour in the arts, and a general quiet space in the gallery. It was an unreal experience and I feel so lucky to have grown this outstanding community of talented makers. What do you see as some of the barriers and struggles that People of Colour face in the arts? How can it get better? As an artist, there isn’t the same level of interest in us exploring our cultural or familial backgrounds unless we’ve had some sort of ‘traumatic’ experience. If we make that decision to make our work about our cultural background or identity, it becomes a career-long commitment, because you spend half your time justifying why you felt the need to make such ‘political’ art, #sorrynotsorry. If I can go just one week without witnessing some sort of hate speech about Muslim people then maybe my experiences would be less ‘political’, but I just don’t have that option. As a curator and business owner, it’s harder to generalize, as there aren’t that many People of Colour in the arts here. Visibility is definitely an important part. PoC starting out in the arts just want to see that there are people like them surviving and thriving; if we can have that, then eventually numbers will grow and there’s more chance of a better support system. I’ve spent time and work trying to get people who aren’t already in the ‘scene’ to engage with art, and I find that with art it’s possible to communicate and ease people into new concepts. I don’t know how it well get better, but I have to believe it will. You mentioned that it was only through your work with Zine Swap that resulted in you being taken seriously as a non-white curator and artist. 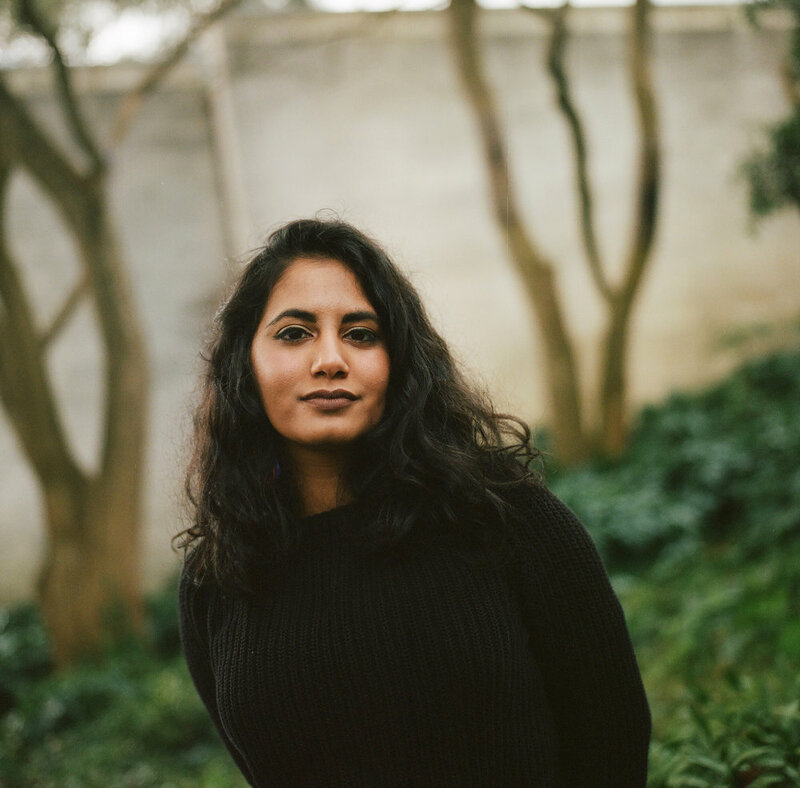 What it's like being a creative WOC in Adelaide? I can really only speak from a migrant perspective here. Basically, I can exhibit as much as I like, I can even establish my own business and have a heap of media attention, but none of that really translates into a legitimate form of recognition that my (usually male, usually white) peers are receiving. I was raised with the mantra that if you work hard enough, nobody can take your achievements away from you. To date, I’ve been able to feature over a hundred artists over six events, many of whom had never presented a work of art in public before. Being a creative WOC in Adelaide is exhausting. Being a WOC in Adelaide is exhausting. It is easy to be overwhelmed by self-doubt and believe that you are manufacturing problems in your own mind. There simply isn’t enough of a support network outside my close friends and immediate family. For anyone that questions this, introduce two Women of Colour who you know and watch them immediately bond over being ‘Other’. We’re strong, and we’ve had to learn to quell that self-doubt on our own in order to continue creating work, but I think it would be incredible if we had a more understanding and more diverse creative community. Have you ever been tempted to move East, to Melbourne or Sydney? Let’s just say that I love the creative community that I belong to here, but I’d be lying if Melbourne hasn’t been tempting me lately. Adelaide is currently going through an intense period of rejuvenation and change, things are happening and it is slowly getting a little more exciting—I want to see where that goes before I stray too far. Can you talk to us about your project in Yogyakarta? You're currently in the midst of organizing a cross-cultural studio residency for Adelaide artists to work on their art in Indonesia. Indonesia holds a very dear place in my heart. When my family moved to Australia from Kuala Lumpur, my parents made the decision to only speak to me and my brother in English, which meant we quickly became monolingual. A few years later, I had the option of studying Bahasa Indonesia in middle school, and I never looked back. I continued to study the language all the way through University as a means of reaffirming my connection with Southeast Asia. I found myself connecting with artists in Yogyakarta via Instagram (this was even before I had the chance to visit Indonesia!) who were involved in the same kind of hustle: if you want to make art, find a way to do it, make it known, make it seen. I continue to find this energy so admirable compared with Australia’s often defeatist attitudes towards the arts, which I struggle to understand at times given how privileged we are. Last year, I was lucky enough to go back to Malaysia twice and also visit Yogyakarta. That really helped to re-affirm for me the fact that there’s so much that Southeast Asia and Australia can share with each other, particularly in the Contemporary Arts. As an Adelaide artist with a Southeast Asian background, I thrive on travelling around different parts of Southeast Asia and the sensation of learning about a culture that might be similar but still incredibly different from your own. This feeling really hit home for me when I was in Cambodia on a family holiday; we were on a bus driving past all these rice paddies and I suddenly felt calm—the semi-familiar scenery of my childhood driving from KL to Perlis was a fascinating experience and I would love if others could feel that too. This project is less about white Australians being exposed to ‘culture’, but rather getting artists out of their comfort zone to learn something new. Spending time immersed in another culture is humbling, intimidating and teaches you a lot about yourself. So, I’ll be there for twelve months to assist my artists with anything they might need to settle in, and provide them with a studio space. My hope is that artists who participate in this residency will develop as human beings, be open to new experiences, learn some Bahasa Indonesia and collaborate/work alongside local artists. Do you have any advice for emerging artists and curators? Find your people. It is really difficult and takes a lot of trial and error, but if you find the right people they will always support you, be honest with you and build you up every time you fail or have a breakdown—because you will, but that is okay. My family and my culture. I am always learning new things about my family history, their strength, and everything else that has led me to where I am today. Every time a big decision in life frightens me, I remember my nenek (grandma) who lived in Australia for nine years to study medicine in the fifties and my mother who uprooted herself and her two young kids to start a new life in Adelaide at the age of forty. They were major and definitive moves in their lives, but it’s almost a blip compared to everything else they have managed to achieve. Outside of my immediate family, I am endlessly inspired by the matriarchal strength of the Malay side of my family and their cultural intersections. There is so much to be learned from our personal histories that feeds into who we are as people now and that never ceases to amaze me. Alternating between SZA, Santigold and Solange. Best music to plan, write and put on makeup to. I am re-reading ‘The Near and the Far’ – a book a coworker leant me because she was reading one story ‘Some hints about travelling to the country your family departed’ and it made her immediately think of me. Most stories in that collection really helped me at a time when I was feeling particularly homesick and isolated, and it encouraged me to start writing again. My favourite self-care acts currently are sleeping, cooking, reading and taking baths. I am a terrible sleeper, but if I can fit in a nap every now and then life is good. Cooking is enriching for the soul and the best way I know how to connect with my culture, plus I love that I always end up cooking too much and can share it with my loved ones. I am not good at switching off my brain, but I love to be mentally engaged, so reading and taking baths are a great way to ensure I have time to myself, but not too much that I start to panic about not doing work. Making time to see friends and dance the night away is also a great way for me to recharge and feel like myself again. I’m still trying to work this out. There is a lot that I am still coming to terms with, especially with regard to being proudly Asian, fully accepting my Middle-Eastern side and re-thinking what the label ‘Australian’ really means. There is this strange possessiveness over the term from white people, which leads to this intense disassociation for many people of colour in my life. It’s pretty messed up. Over the last year or so I’ve made a point of referring to myself as Malaysian-Australian because ‘Australian’ is rife with singularity that I can never identify with. To me, Asian-Australian still means I need justify my position in this country as an Australian citizen. Photography by Leah Jing McIntosh.